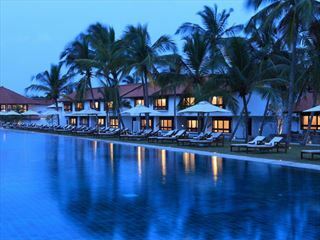 A modern and stylish hotel, Centara Ceysands Resort & Spa sits between a picturesque gold sand beach and the charming Bentota River. 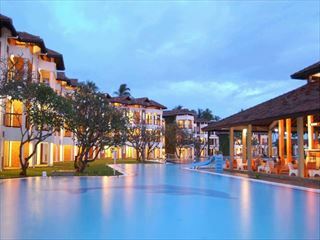 In this increasing popular part of Sri Lanka, you can enjoy a relaxed and tranquil holiday with great facilities and caring staff. 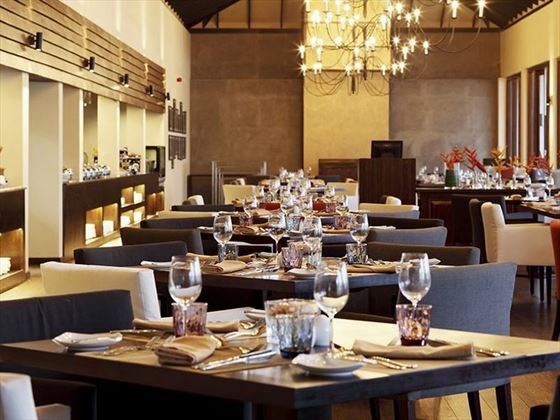 There is a range of dining options available including the fine dining at 360 Seafood to the Sri Lankan cuisine of Café Bem. 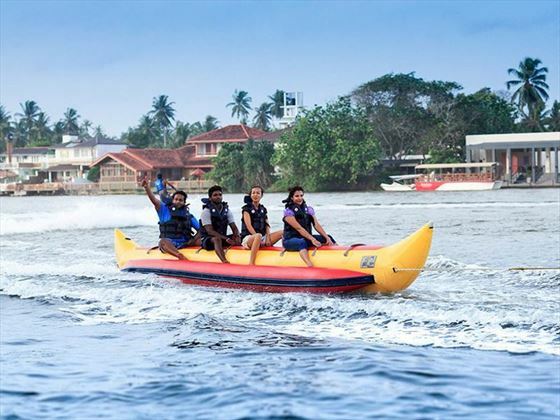 The resort is also a great choice for watersports enthusiasts; there is a watersports centre on site offering up everything from snorkelling and canoeing to knee boarding and jetskiing. Every room features views either over the river or the ocean with the option to upgrade to a luxurious suite if you’re looking for an extra special experience. 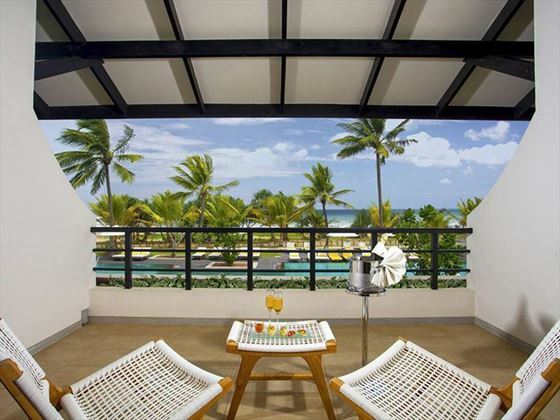 Further reading: Centara Ceysands Resort & Spa is featured in our guide to the top 10 family hotels in Sri Lanka. 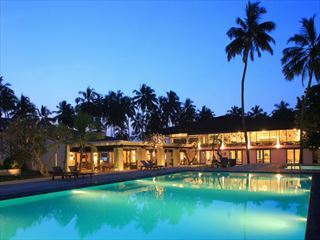 The resort sits on the Bentota peninsula on the south-west coast of Sri Lanka. 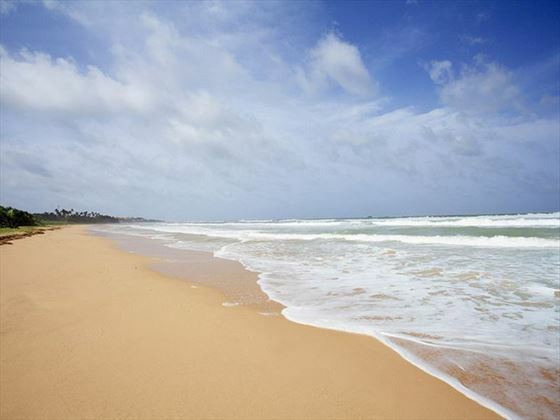 Offering fantastic conditions for watersports and opening up onto a lovely golden sand beach, the resort is a great choice for relaxation and activities. Choice of lunch or dinner in participating outlets accompanied by a maximum of 3 hours open bar with your meal from the time you arrive. 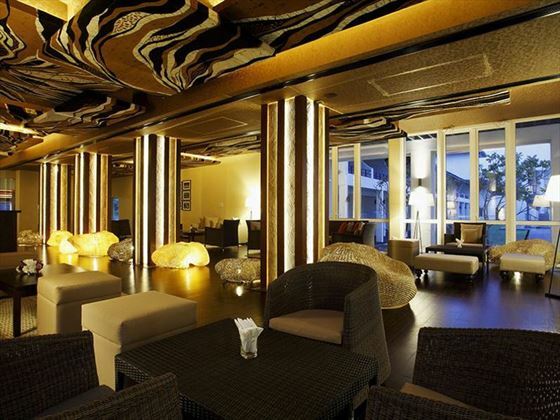 The open bar includes standard drinks such as non alcoholic, beer and local spirits only. Honeymooner's are required to provide a valid Wedding Certificate or copy at time of booking and check-in. 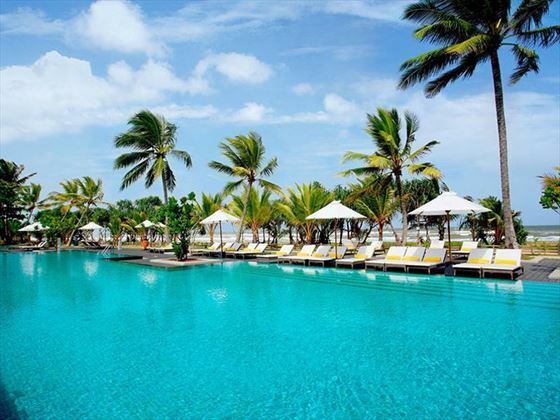 Honeymoons must be conducted within the year of wedding or within 3 months of wedding date. 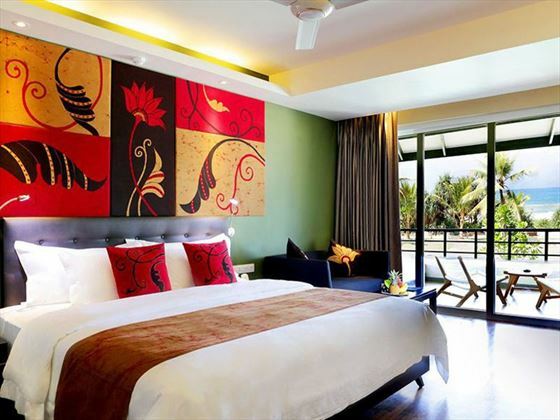 Anniversary couples are required to provide a valid Wedding Certificate or copy at time of booking and check-in. Anniversaries celebrated are 1st, 5th, 10th, 20th, 25th, 50th and upwards.